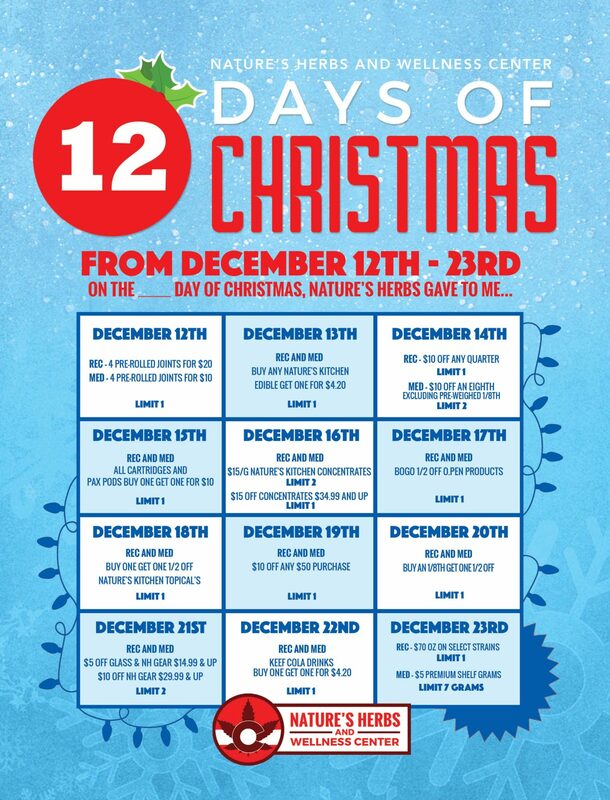 Nature’s Herbs and Wellness is celebrating The 12 Days Of Christmas! Starting on December 12th, you can come in each and every day for a new and different great deal! 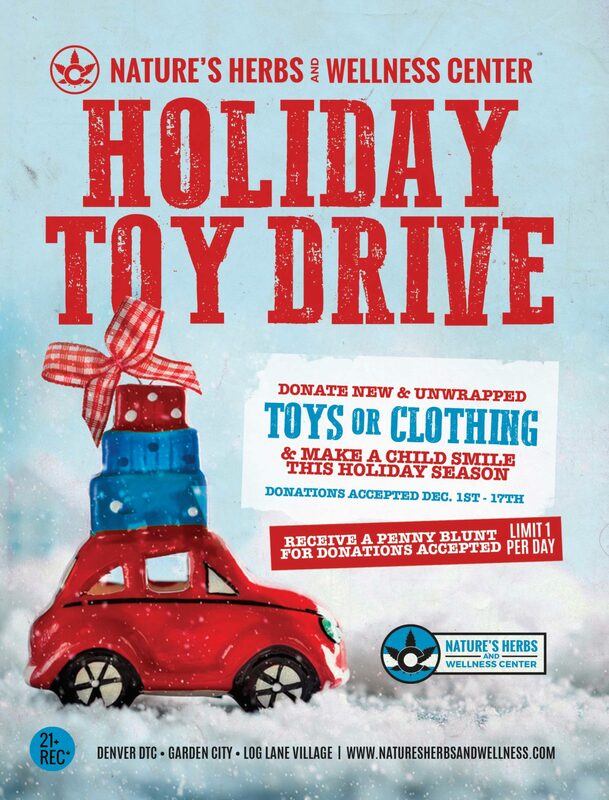 Donations of New & Unwrapped toys or clothing will be accepted from December 1st through December 17th! 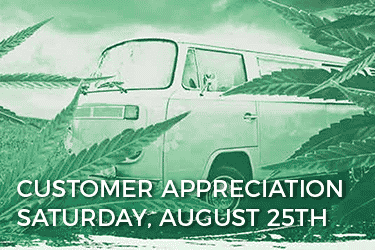 Donations accepted at all Nature’s Herbs locations in the Denver Tech Center, Garden City, and Log Lane Village! 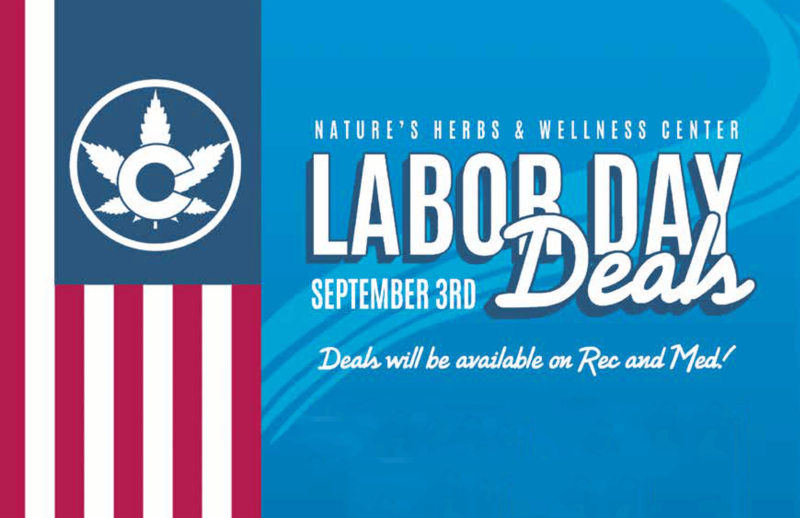 Get ready for Nature’s Herbs and Wellness Annual Green Friday Sale! Huge Discounts, and All Day Sales! Don’t forget about those Door Busters! When the doors open at 8am, the first 20 customers in line will receive a Special Deal plus a Swag Bag! Happy Thanksgiving, or should we say Danksgiving! Turn your Thanksgiving into a Danksgiving this year by celebrating with Nature’s Herbs and Wellness! 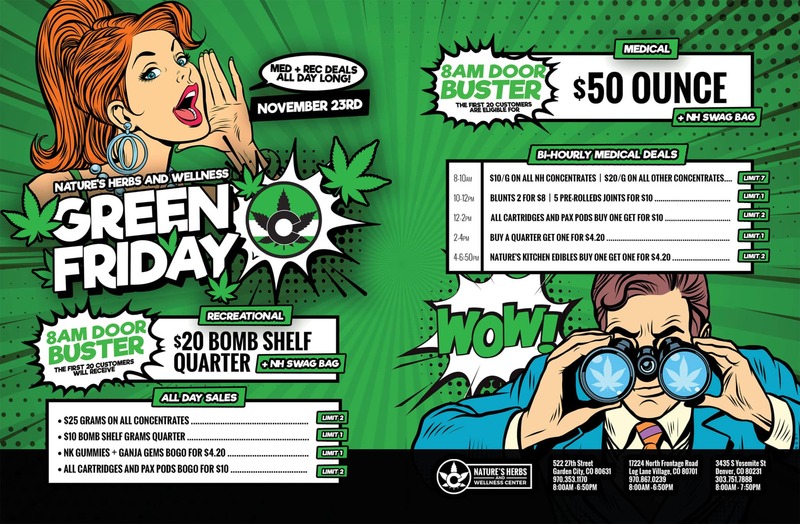 All Recreational and Medical locations will be open Thanksgiving Day from 8am – 2pm! 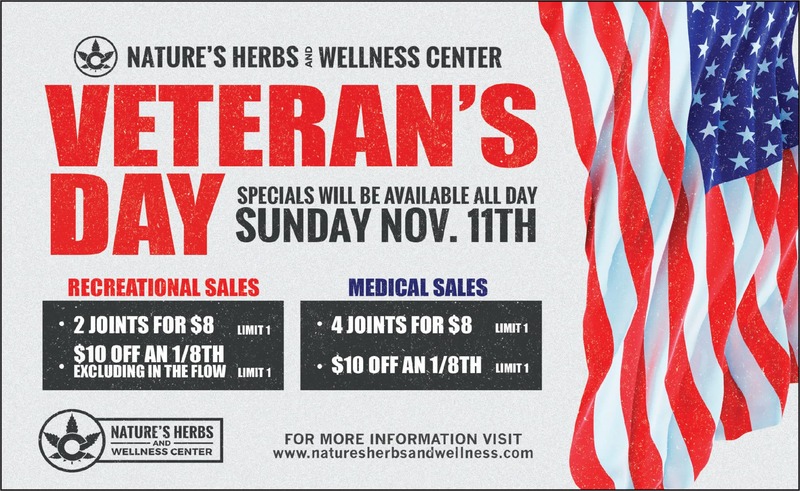 Join us on Sunday, November 11th as Nature’s Herbs celebrates Veteran’s Day, and show our appreciation for the Men and Women who serve our Country. 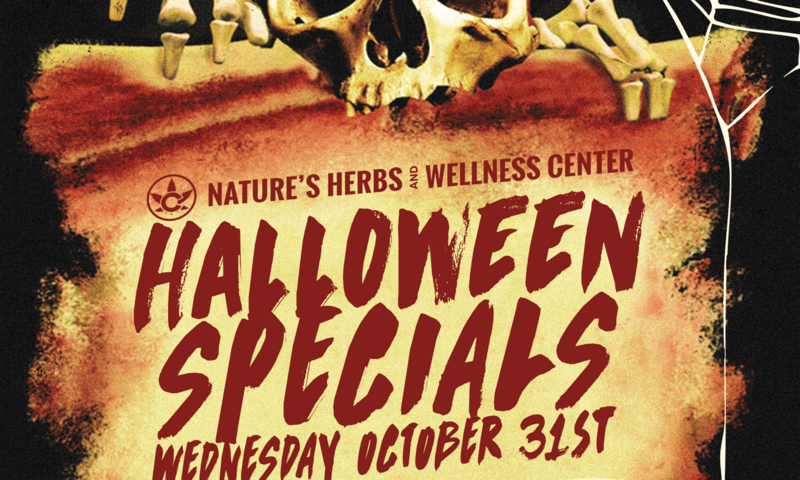 Specials will be available all day, at all Nature’s Herbs locations. Spooky Specials! 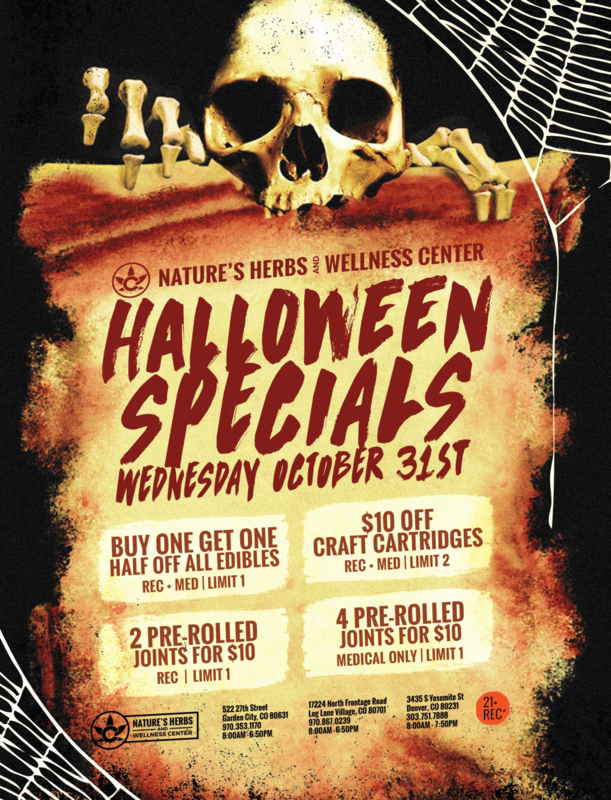 Going on All Day Long, Wednesday October 31st, at All Nature’s Herbs Locations! 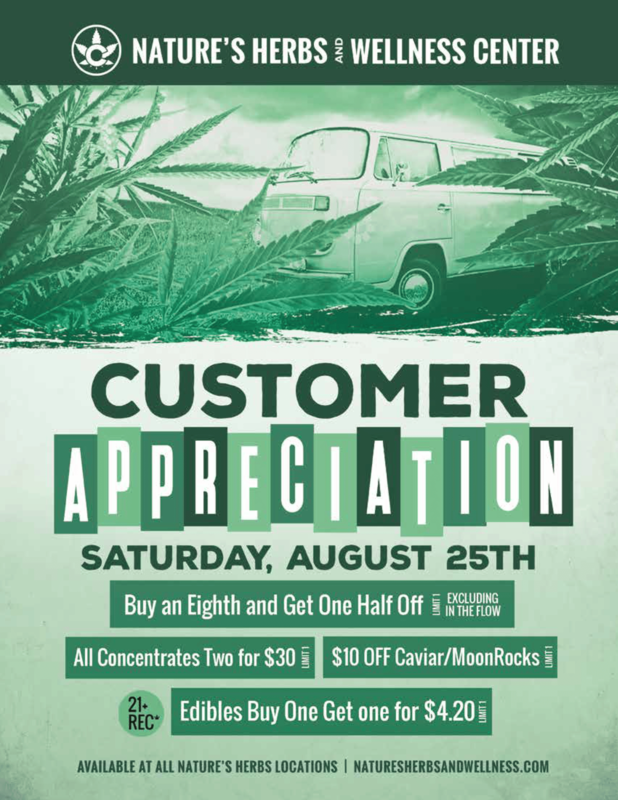 Stop By And Say High! 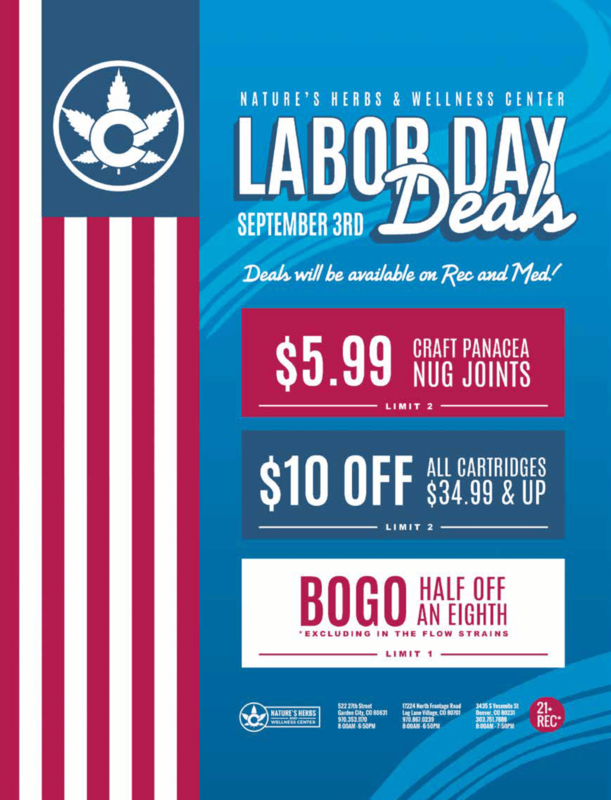 Bonus Deal: BOGO for $5 on All Chronic Creations Wax! – Recreational Only. Limit 1. Please Remember: No Masks or Face Coverings allowed. Log Lane Village Road Closure – We Are Open! 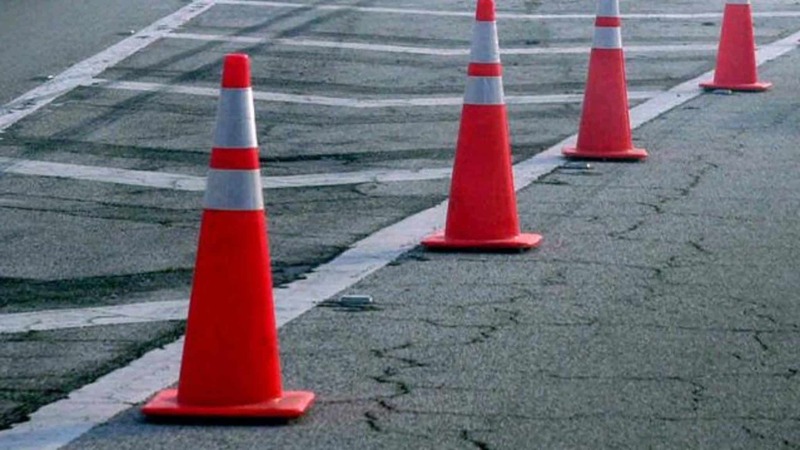 Attention Log Lane Village Customers: The City of Log Lane Village will be performing construction work on the road in front of Nature’s Herbs on Tuesday, September 25th and Wednesday, September 26th. We will be operating with normal hours during this construction. You will need to park on side streets, we apologize for this inconvenience. We’re celebrating the End Of The Summer! 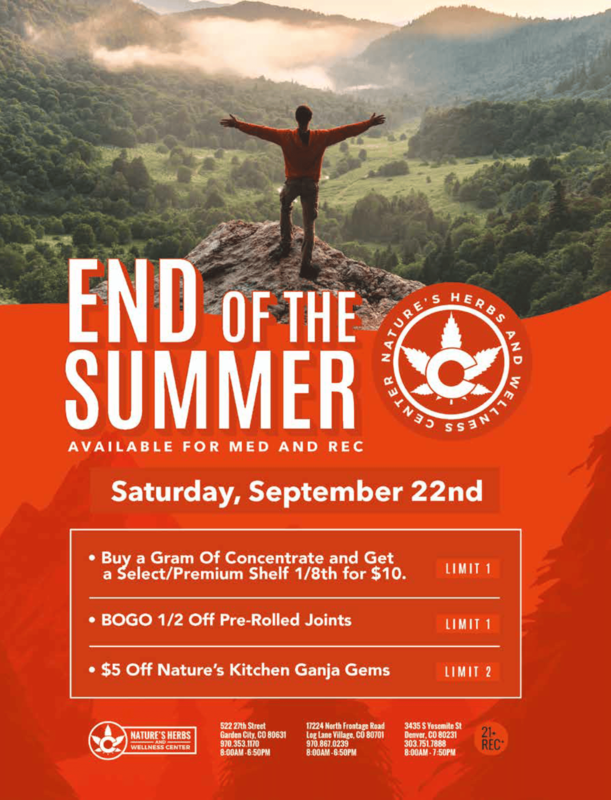 Celebrate the end of the season at any Natures Herbs location on Saturday, September 22nd! 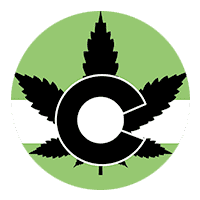 Denver Tech Center, Garden City, and Log Lane Village! 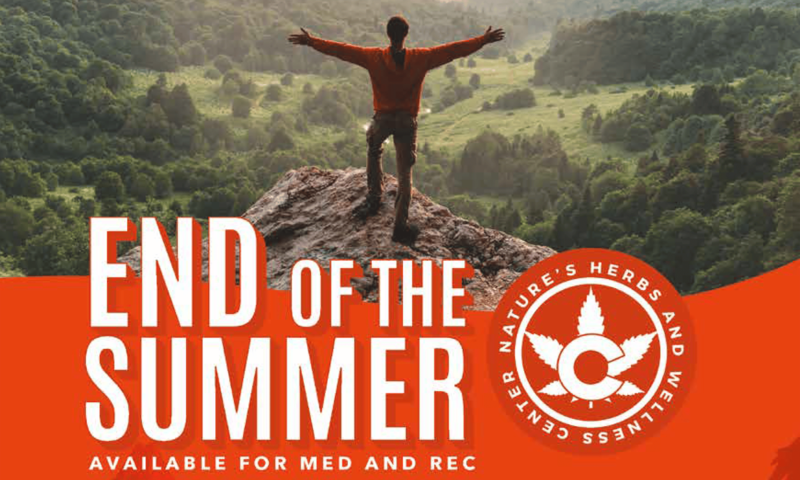 Deals are available for both Medical and Recreational.